The air was laden with anxiety as Chief Willie Obiano stepped onto the podium that Monday afternoon of 17th March, 2014. 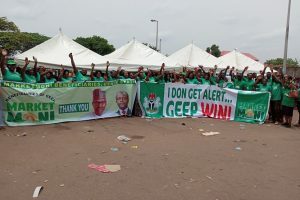 The outgoing Governor Peter Obi, in his valedictory speech, had set the expectant mood for the epic crowd of Anambrarians that gathered at Ekwueme Square to mark the memorable transition from his eight years of administration to a new age in the political diary of the state. The mixed crowd wondered what it would be like to change from Obi to Obiano and from Agulu to Aguleri. 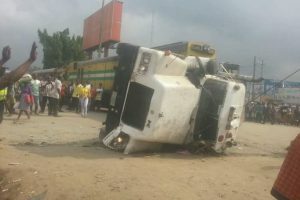 Not a few persons at the Square that day expected much difference, given the very insignificant difference in the orthography of the points of departure and destination – Obi to Obiano, Agulu to Aguleri. Nevertheless, Chief Willie Obiano’s prologue was not lost to many as being suggestive of some grand imperial theme. A very significant note in that prologue was that he started from the fundamental premise of a people’s identity and self definition. He identified the people of Anambra State in terms of their characteristic spirit of excellence and industriousness, and their ageless prime of place in national history. He declared to expand the frontiers of excellence of Anambra State. He further defined their challenges in terms of the impediments to maximizing their acknowledged potentials. In this purview, Chief Obiano identified abject insecurity of life and property as the primary challenge to a wholesome realization of the spirit of excellence that typifies ndi Anambra. ‘Ndi Anambra’ was his; a novel and appealing coinage that offered a radical departure from ‘Anambrarians’ which, he objected, sounded rather barbaric. Wow! Not a few immediately applauded his apparent homeliness and grassroot affinity. Chief Willie Obiano, right from that superb inaugural speech, began to give hints of his mission to reposition Anambra State and exorcize the state of a smoky aura that has changed its identity into a nebula of infinite dimensions in recent decades. Thus, the vision of the traces of New Anambra assumed a form. 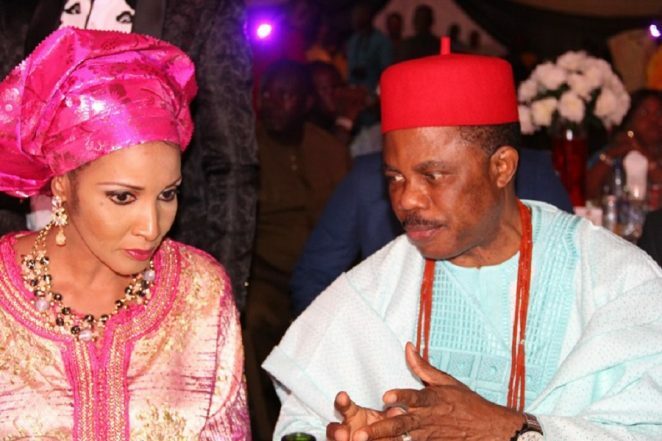 Deep into his speech that day, Chief Obiano articulated a magnificent blueprint for Anambra State under his watch, anchoring it on what he termed the Four (4) Cardinal Pillars of Development to guide his administration, namely; mechanized agriculture, industrialization, trade and commerce, and oil and gas (AITO). These pillars of development constitute the treasure box, the prosperous effects of which will light up the enablers like education, health, the environment, youth and sports development, security, housing and urban planning, women and children and social infrastructure, among others. Sure-footed on the four-pillar economic compass, Gov. Obiano pledged his overall mission: “to create a socially stable, business friendly environment that will attract both indigene and foreigners to seek wealth creating opportunities in Anambra.” As it applies to repositioning Anambra, I think the vision says it better in the words of Gov. Obiano; that Anambra, under his reign, will become “…the 1st choice investment destination and a (critical) hub for industrialization and commercial activities” not only in Nigeria but within the continental sub-region. 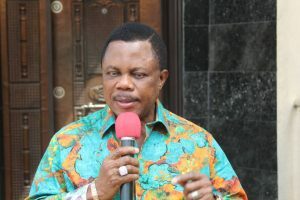 Prior to Obiano’s administration, the security situation in Anambra reached such a crescendo that past administrators in the state assumed that the problem was associated with the state’s “Home for All” tag. They opted for the “Light of the Nation,” arguing that “Home for All” meant home for armed robbers, kidnappers, prostitutes and the likes. In spite of the vacuous change, kidnapping, armed robbery and all manner of criminality was thriving with mind boggling impunity in the state. 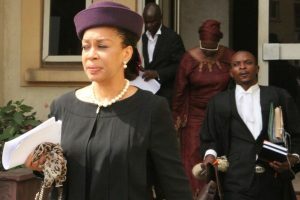 The penultimate administration of Dr. Chris Ngige was dumbfounded when the sitting governor was kidnapped in broad daylight. 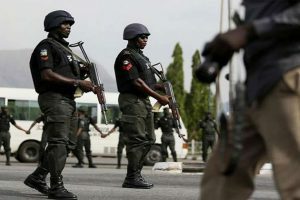 The criminals burnt the Anambra State Government House, the House of Assembly complex, the State Radio House (ABS) and looted Anambra’s Commonwealth. The immediate past administration of Mr. Peter Obi was the most embattled by heinous criminality the reigned in the state. Although he made to discourage it by enactment, he lacked the teeth to bite and scare the criminals out of town. 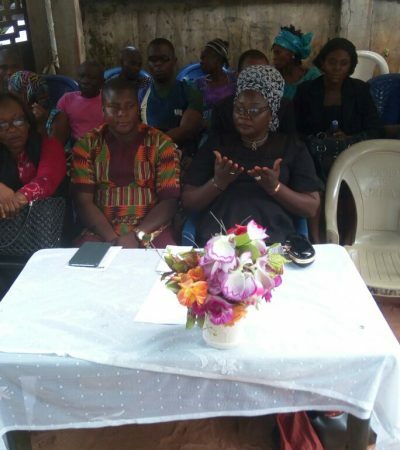 Commissioners and their relatives were not spared by kidnappers. Touting and banditry seized up the State Internally Generated Revenue and allowed Mr. Peter Obi to remain on seat, provided he does not provoke them. But Gov. Obiano’s entry into the Awka Government House marked a watershed in the audacity of criminalities in Anambra. His wand was not entirely magical but showed a pragmatic commitment to repositioning the life of ndi Anambra. He made sure that funds are used for what they are meant for, and was not stingy in putting security vote into the hands of the security operatives. He did not mince words charging them to spare no crime. He did not relent from funding them. He met with them directly to review their operations. He literally became a police officer on duty and eschewed mere lip service to the scandalous security threat that had gripped ndi Anambra. In a matter of weeks, Gov. Obiano enthroned security to inimitable heights. On April 28, 2014, he inaugurated ‘Operation Kpochapu’ to fight crime with 125 patrol vehicles. ‘Kpochapu’ means ‘wipe out’. This was later reinforced with state-of-the-art American styled smart patrol cars which were equipped with gadgets to track over-speeding vehicles, alcohol detecting kits and other special kits that would aid crime detection and prevention. He left no stone unturned in detecting and demolishing kidnappers’ dens in the state. The notorious Upper Iweka where all kinds of crimes ranging from pick-pocket to kidnapping dwelt absolutely was thoroughly flushed and turned into a romance and honey-moon alluring park. The once dreaded crime zone has become a rendezvous for annual state Christmas carol. With the total extinction of the fiery criminality and gangsterism that held sway in the state, life returned and ndi Anambra, ever blessed in their distant lands of sojourn, began to return in good numbers. As they witnessed the unfolding New Anambra, they facilitated investments into the state. It was indeed expected because when a flower blossoms, the bees come uninvited. Obiano’s government had anticipated it and instituted a one-stop state investment shop, the Anambra State Investment Promotion and Protection Agency (ANSIPPA) to guide investment in the state. Today, it is incontrovertible that Gov. Obiano has repositioned Anambra into a beehive of great and capacious investments grossing over $4.2 billion USD. 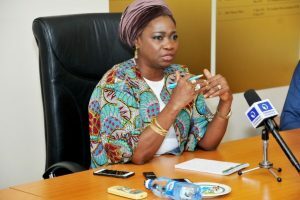 Space will not accommodate a detailed listing of the programmes and projects – on education, health, agriculture, justice, labour and civil service relations, economic infrastructure and internally generated revenue among others – by which Gov. Obiano has diligently repositioned Anambra into a national envy within mere 24 months of assumption of office as governor of Anambra State, even in an era of continual plummeting earnings from the federation accounts. Obiano inherited a state to which the Federal Government owed over N30 billion on federal projects executed by the state as at April, 2014. As he continued to complete those projects, the credit profile continued to rise. When other state governors meet at the National Executive Council to ask for bailout, Gov. Obiano stands distinct in his demand, not for a bailout but for the Federal Government to pay the money it owes to Anambra State so that he will return home and plow it into the massive transformation that is rapidly happening in Anambra. The poor Federal Government continues to offer promises to pay. It actually got to a high when other states like Kogi began to scramble for appointments to meet and learn from the Anambra Team, and some progressive nationalists like Prof. Pat Utomi and Senator Ben Maurice Bruce lent their voices in recommending Gov. Obiano and Anambra as models for the Nigerian State. Gov. Willie Obiano came on board Anambra governance with an audacity that provoked palpable hope for the people, not only of Anambra but Igbo race and South East region of Nigeria. Perhaps it was the confident mien he had development in his years as an accomplished banker. There is this swagger about Chief Obiano that exudes a certainty and assurance of knowing what he wants and what will mean satisfaction for his people. When in early 2015 Gov. launched Ozoemena in somber memory of the soldiers who gave their lives in defense of defunct Biafran nationhood, it became immediately obvious that he embodied an audacious vision of renaissance and healthy re-evaluation and re-awakening for ndigbo everywhere. As he laid the wreath at Ekwueme Square that day, Gov. Obiano offered a visionary leadership for Igbo race far beyond Awka and Anambra State and lit the light of hope, respect, identity and spiritual reconciliation and rest for ndigbo at home and in Diaspora. 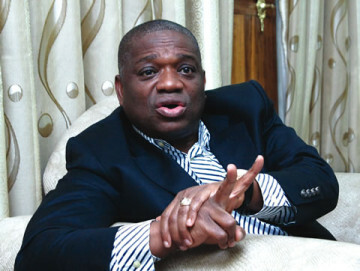 Similarly, his belief in a germane identity for his people finds a convivial parallelism in the pursuit of All Progressive Grand Alliance (APGA) to represent the political voice of the progressive but marginalized peoples in the Nigerian equation, with particular catchment in the South East region where marginalization has drastically stunted economic and social development and national integration since the years of the Nigeria Civil War. Against the sectional standing of the political party, Chief Willie Obiano pledged to give the party a national outlook. Unlike his fellow governors and highly respected party members who defect from one party to another at every impulse of the moment, Obiano stood with APGA. He weathered the storms within APGA, especially in Abia State, where the party was wantonly rigged out of victory in the last gubernatorial elections. 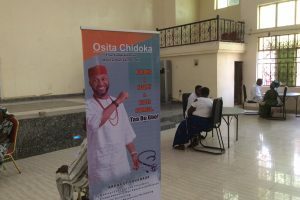 The people would testify any day of their untiring support and massive vote for Dr. Alex Oti at the elections. Obiano had anointed Oti for the Abian political mandate. His works in Anambra and APGA were enough reasons for ndi Abia to desire Oti, a retired seasoned banker, like Obiano. Obiano’s dedication to the party has prompted candidates beyond the ethnic Igbo clime to run for political offices under the APGA platform. He engendered peace in the party, stopping at nothing in cementing party schism that sought to weaken the its foundation. Today, APGA remains a strong united party because of the influence of Obiano, and both the former and present national leadership of the party are happy with Gov. Obiano’s exemplar government in Anambra State. The party is proud of Gov. Obiano and his ever increasing accolades for excellent governance – the Sun Governor of the Year, the winner of the much coveted Zik’s Prize leadership and governance, yet Obiano has only spent two years in office when the awards came. One can surely write volumes in an attempt to attend to each and every achievements by the working Willie. Obiano’s giant strides stand astride the transportation sector with the launch of a comprehensive Mass Transit Scheme involving 200 new taxis and 40 Luxurious Buses all of which remains a locus in quo. 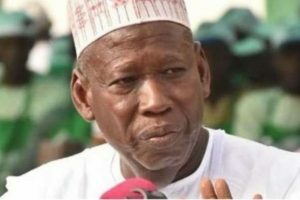 He expanded the scope of his milestone achievements in the sector to marine transport with the launch of 15 speedboats and 7 water ambulances to enhance education and rapid response (health and security) in riverine communities. In two years of his administration, Gov. Obiano asphalted 100 roads and flagged off 30 new roads to link up strategic locations, opening access to the agricultural, industrial and commercial areas of the state. Awka skyline is shinning, bling bling, courtesy of the three gigantic flyovers with the Anambra trademark protrusions by which Gov. Obiano has uplifted the visage of the Awka Capital. In the last week of August 2016, Ethiopian Airlines landed its first cargo flight into Akanu Ibiam International Airport, Emene, Enugu. The management was singing hilariously of Gov. Obiano’s commitment in making the venture come true. It is his vision to ease the colossal challenges that industrious ndigbo experiences in freighting their goods and wares from markets in Europe and Asia to our homes and people. In China where Gov. Obiano was among a Presidential delegation in the second week of August, 2016, Gov. Obiano practically sold Onitsha light container port terminal to the Chinese government and people and it is expected that ubiquitous Onitsha market will feel the impact of that trip very soon. Anambra’s export of fresh vegetable to European markets, the much sought-after de-stoned Anambra Rice, and a cargo airport at Umueri with a niche in aviation fuel are some of the many achievements by which Gov. Obiano has been tirelessly demonstrating his passion to reposition Anambra into continental limelight. In a world where vows are worthless; where making a pledge means nothing; where promises are made to be broken, it is nice to see pledges fulfilled to the letters. Without the slightest hint, he increased the salary of civil servants by 15 percent. Teachers get extra allowance for teaching in riverine and remote areas. Science teachers and teachers of Igbo language receive extra too. Anambra workers acknowledge him as their most friendly worker. He has promise massive promotion in the civil service in December 2017. They know that he keeps his promises. Anambra has more reasons to re-elect Governor Willie Obiano to continue his good work in Anambra State.